3 Bedroom Flat For Sale in Hendon, London for Asking Price £649,000. LAST CHANCE TO PURCHASE - LAST 3-BEDROOM APARTMENT REMAINING. Parking is available to purchase - please ask for details. Last remaining 3-Bedroom/2-Bathroom apartments is part of this new development of 55 apartments with a mix of 1, 2 and 3-Beds by City and Westminster Developments. The apartments are located close to everything to cater for everyday needs including excellent transport links, leisure facilities and retail options including Brent Cross and Mill Hill. The area offers the best of both worlds, with an undeniable village charm meeting the vibrant Hendon and Mill Hill high streets, offering excellent leisure facilities, parks and woodlands. The location is perfect for nature-lovers, boasting many green spaces, several of which are considered conservation sites. Sunny Hill Park is a quiet, peaceful retreat and a lovely location for a languid stroll or if you need to step up the pace Hendon Park offers a wealth of sport activities. 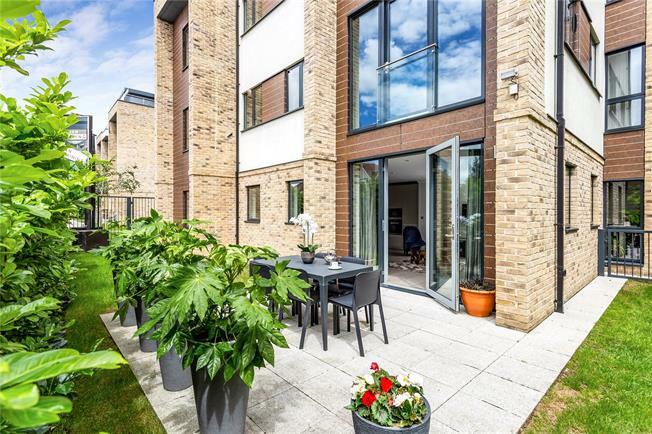 Other highlights include; the development overlooks the beautifully kept fairways of Hendon Golf Course, and the Allianz Park Stadium is easily walkable, maybe take in a Saracens game or concert. Aspery Park is close to everything you could want for modern day suburban living, its transport links make it highly desirable for professionals and leisure lovers alike. Take advantage of the numerous leisure and retail options at nearby Brent Cross, or discover the wealth of local shops, delis, cafes and restaurants in Hendon and Mill Hill Broadway. For the more athletic individuals, there’s also a wide range of both public and private sports and gym facilities. Cricketers, Footballers, Golfers and Tennis players are particularly spoilt for choice.